Taylor Bay Country Club has full ethernet and wireless internet available to all guests. A suitable area for that after dinner sit, chat and have a drink. A four burner barbecue is supplied for use by all guests..
Taylor Bay Country Club is proud to offer golf hire equipment to compliment our amenities. We aim to deliver the ultimate golf experience with distances from 40m up to 100m catering for all levels of golfers. 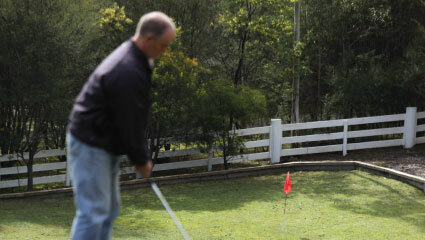 For keen golf enthusiasts, Lake Eildon, Alexandra and Mansfield have 18 hole courses. Experience country golf at it’s best. Please ask one of our friendly staff for a full range of travel and information brochures of the local area. An abundance of wildlife is present in the area, deer, foxes, kangaroo, rabbits, wombats and extensive array of bird life. If you love animals and walking in natural bush environment then TBCC is the place for you. There are also numerous walking trails with view of lake Eildon and surrounding area. Please take only photos and leave only your footprints. Do not feed the animals and remember to wear comfortable sturdy footwear. 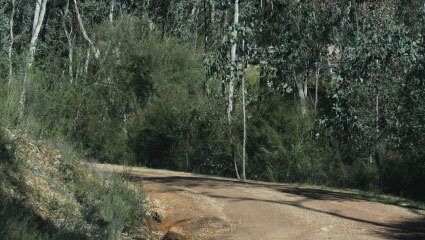 To find out more about all the walking trails in Lake Eildon and the surrounding area please visit the Parkweb website. Taylor Bay Country Club welcomes not only you but also your family pets to enjoy the TBCC experience. Strict guidelines must be enforced and respected to ensure safety for all, you, your pets and the local wildlife. If you have any questions at all please feel free to contact us by telephone.